Volunteer for the Phoenix Film Festival! The Phoenix Film Festival is looking for fellow movie-lovers to volunteer for the upcoming festival! PFF 2012 will be held March 29 - April 5, 2012. The Phoenix Film Festival features the finest in independent film from around the world as well as celebrities, seminars, and parties all week long! In exchange for a commitment of a least 24 hours, volunteers will receive a festival t-shirt and a full festival pass. Get on board early by emailing volunteer@phxfilm.com. Orientation dates to be announced soon! 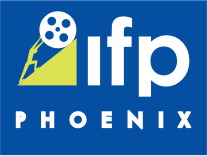 See movies first with the Phx Film Society! Save up to 30% when you buy your 2012 PFF tickets during our Early Bird promotion. This includes the VIP Pass, which gets you all access and priority seating, the Festival Pass, which gets you unlimited films, and the Flex Pass, which gets you your choice of any four films. Be sure to purchase your pass now before they go up to regular prices. Passes for the 2012 Phoenix Film Festival are available for purchase now. Not only, can you purchases passes now, but you can save 30% off of regular prices. This includes the VIP Pass which gets you all access and priority seating, the Festival Pass which gets you unlimited films and the Flex Pass which gets you your choice of any four films. Be sure to purchase your pass now before they go up to regular prices. Click here to purchase your pass.